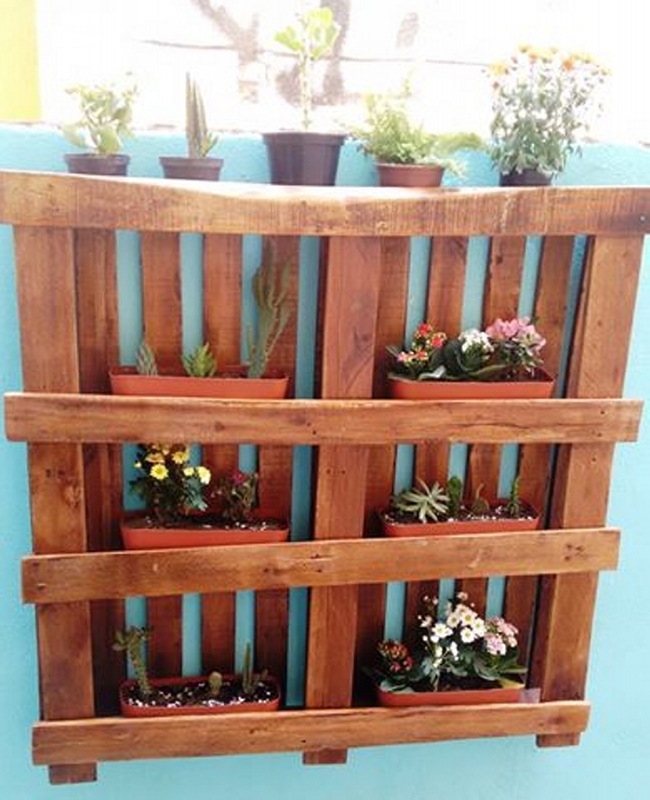 A number of articles have been written in our website relating to vertical gardens recycled with the wooden pallet. A vertical or a hanging garden is a great substitute of a green landscape for those who do no not own ample space to build their own full fledged garden. So this was an option available to them. Once again we are going to focus on a superb hanging garden out of the wooden pallets. This hanging garden is going to fetch your thirst for greenery in your surroundings. Greenery is closely associated with freshness, so it becomes a must have for our homes. A hanging garden does not possess huge space in your house. 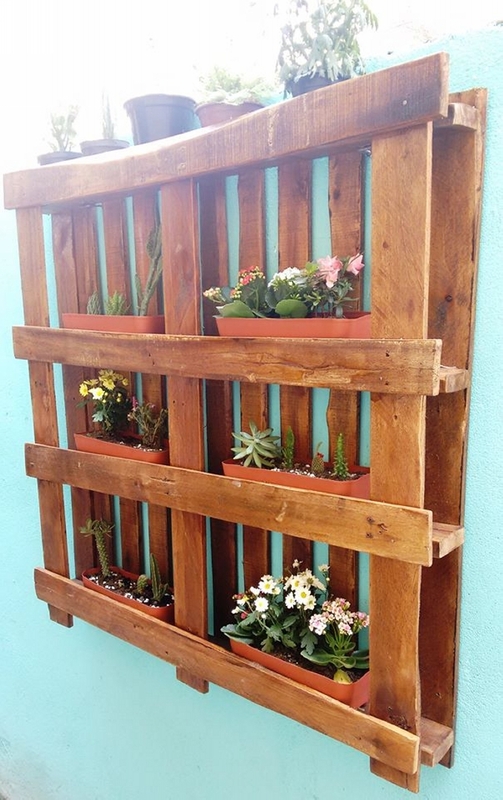 It can be hanged outdoor in open where ever you consider is the right place for this wooden pallet hanging garden. Your patio might be a right choice or even you can hang it in your car garage. Wherever you place it, it would look great as it contains several planter pots. You can try making this one even for relatively smaller apartments and houses. This hanging wooden pallet garden would give you a pretty natural view right inside your home. Making this hanging wooden pallet garden is easier than making complicated furniture items like bed, sofas and tables. Because no specific set pattern is not followed here at all. Just a bunch of pallet planks which were dis assembled first, are joined and fixed together. This is a square shaped hanging garden. There are built in stands or spaces confined for placing the pot planters. Easy to make and also easy to hang this pallet garden is a true wooden beauty that everyone is going to adore. And the best part is its cost effectiveness, you do not need to worry about the expenses at all.